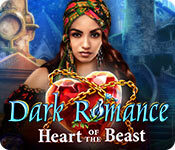 Dark Romance: Heart of the Beast is rated 4.0 out of 5 by 25. Rated 5 out of 5 by camper99z from Such a COOL game! I just *love* this game. It's unique because you can switch between playing 2 different characters throughout the game. 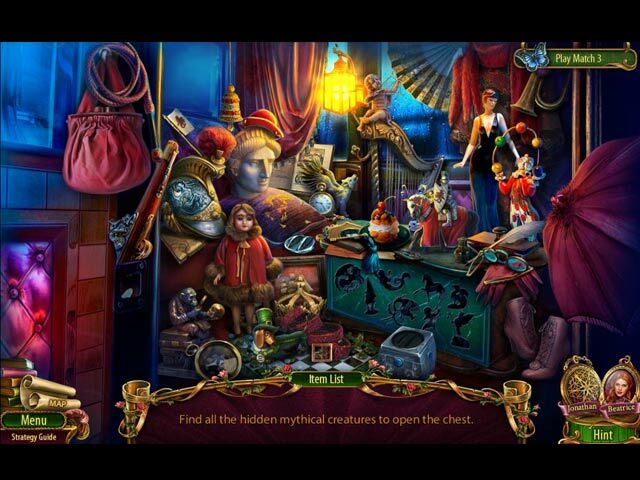 The minigames are really fun and different than in a lot of other hidden object games. Overall this is a super fun game that I wish would just go on and on. I definitely recommend it! Rated 5 out of 5 by rpggramma from GREAT GAME! Loved it! Storyline extremely good. Very different, holds interest till the end. Game is played as two different people. Loved the frame, which allows you to see and talk to animals! Puzzles are great, new and different! Everything was so good; thoroughly enjoyable!! Great thought was put into this one!! Rated 5 out of 5 by JulzCat from Beauty And The Beast At Its Best!! While I wasn't quite as sold on this one as I was "Vampires In Love", I definitely enjoyed it and recommend this game. The "Dark Romance" series stands out above the others because of the "two player" themed game, where you play both characters separately. I love that, it's like playing two games in one. My favorite part was that instead of traditional portals on this one, most of the way you went back and forth between the characters was by way of people that had been turned into animals. Rated 5 out of 5 by Miribelle from I loved it! Wonderful, magical. I spent a very good time with this game. The idea of playing adventure from the perspective based on both players is great. I've had a lot of fun. Rated 5 out of 5 by seaberry22 from dark Romance The game was in my kinda pond.I love ones that may not be so dark water so to speak.Loved every thing about it! Rated 5 out of 5 by chezmah from VERY ENJOYABLE in SE Version I originally played the CE version Demo and my review was rather negative. Was it because i expect more of a CE game and was disappointed or was it because the price of a CE did not seem warranted by the demo... hard to say ! The CE version was not bad, but it wasn't great either. So i decided to buy the SE version with a coupon that was expiring. Well, I feel now, after completing the SE, that i made the right choice. The game, in SE version was a treat ... very enjoyable and i do not regret for one second having purchased and played the SE version. The story line, though not amazingly original, was pleasant. The graphics were GREAT for an SE version, really detailed, colorful and creative. The characters were original personable and very well portrayed. The voice overs were very good. 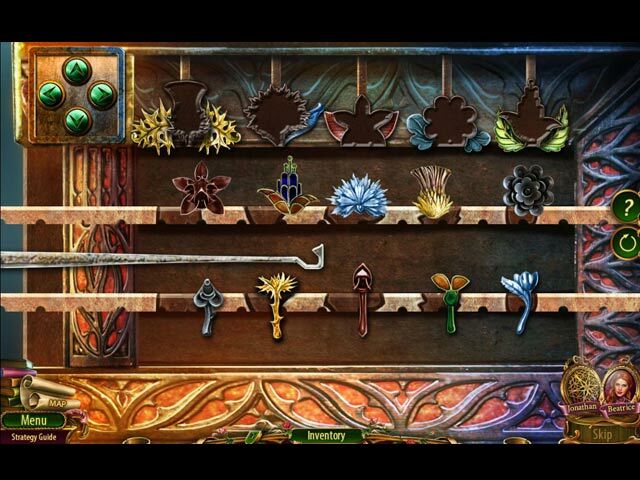 The puzzles were quite varied, not to challenging but fun and very colorful. The HOGs were excellent, i really enjoyed them.... close to perfect for me The map was so-so but acceptable for a SE. The game was not overly long, but not overly short either. One thing that i found very positive was that the game itself was far more interesting than the demo. I found the demo a bit too childish (in the CE version) but once i got into the game (SE version) i found myself very involved and actually quite delighted with the artistic creativity of the scenery and characters. This was not the case in the demo. So as a conclusion, i think that it is better to buy a SE on certain games when one is disappointed with the CE demo. A CE should be reserved for exceptional games. This was a good game and became an exceptional game when one choose to play the SE version. Conclusion : I highly recommend this game in the SE version. Rated 5 out of 5 by SuperOmmi from So COOL! Wish I'd gotten the CE I have been so disappointed in my game choices lately that I was starting to get discouraged. HA HA on me! This game was so cool that as soon as I finished I wished I'd gotten the CE so I could play more with these two characters. Rarely do you finish a game with a big smile. But this one had me grinning. It's not terribly difficult. 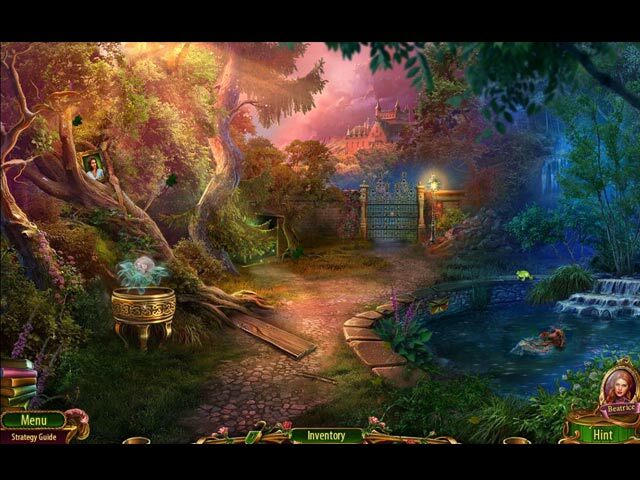 In fact the puzzles are a bit too easy for my taste, but the story and the imagery more than make up for it. The role play between two characters was great - even more smoothly done than in the last Dark Romance. There are some instances of ridiculousness in the story, but it's so well done as a fantasy that you can suspend disbelief. The VO acting was well done, even down to the voices fitting the personalities of the characters in their animal forms. I was impressed. Rated 5 out of 5 by jade_en from Completed SE One of the best games of 2015, IMHO. Rated 5 out of 5 by deeanddeeann from this game is BEAUTIFUL!!!.... this game is beautiful!!! this is a sharp game. now this should not be "A DARK ROMANCE" this is so beautiful. all the characters are interesting. and i like that when you go from the girl, you can change it to the guy. this is a great game!!! Rated 5 out of 5 by b2u4 from Very enjoyable While playing you go between the 2 characters. The Graphics were bright & colorful and not the dark, gloomy scenes like so many games have (& which I don't like nor play) The Hogs were different and not always the same. Sometimes you click on an item & it is the item behind it that you need. Sometimes you find items to put together what is required - which makes it more interesting. Plus if you don't want to do the HOG, you can play Match 3. And there is map which is extremely helpful. Overall very enjoyable and as always - the good defeats the bad.